Kenneth Axt Painting Contractors is proud to have served the painting needs of Marietta homeowners for more than 40 years. Marietta’s rich history combined with solid growth in new construction makes it one of our most interesting and varied neighborhoods. We are a professional painting contractor, licensed and insured, providing interior & exterior services to meet the painting needs of Marietta residents. Marietta has a mix of architectural styles and exterior materials and finishes: historic bungalows and mansions, brick ranch-style homes from the 60s & 70s, newer construction featuring concrete siding or stucco, executive style homes of brick and stone, and more. Our crews are professional painters with the skills necessary to prepare, repair, and paint every kind of exterior surfaces. from painting and staining concrete and brick to painting siding and touching up window trim. Does your home h ave an “interesting” interior? Perhaps there are historic elements that you want to preserve? We can help you restore those beautiful architectural details to their full glory and update the trim that needs changing. Our interior painting services include wallpaper removal, updating or installing trim work, painting out stained trim and built-ins, kitchen and bath cabinetry, and more. 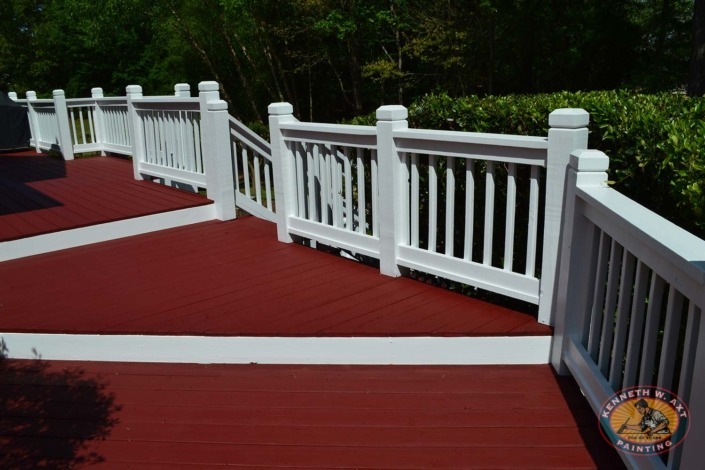 We also offer our Marietta customers a wide array of services beyond interior and exterior house painting, including deck and fence painting/staining, pressure washing, and all the other porch and patio projects you need done. When you’re searching for a home painting contractor near you in Marietta, call us for a free estimate. Whether you are painting the interior of a newly constructed home before moving in or refreshing the exterior or living spaces of your well-loved home, Kenneth Axt Painting is always the right choice! We provide comprehensive painting and design services to provide you with a long lasting, durable finish that you’ll be proud of for years to come.